The Calatagan, Batangas Welcome Arch. Image source: Mapio.net. This article about the barrios of Calatagan in western Batangas concludes this web site’s series featuring historic and folkloric trivia about the barrios around the province of Batangas. As with the other articles, the information has been taken from documents filed away as Historical Data under the National Library of the Philippines’ Digital Collections. These documents were required by the administration of President Elpidio Quirino in 1951 of all Department of Education districts around the country to compensate for local histories destroyed during the Second World War. The documents were collected in 1953. 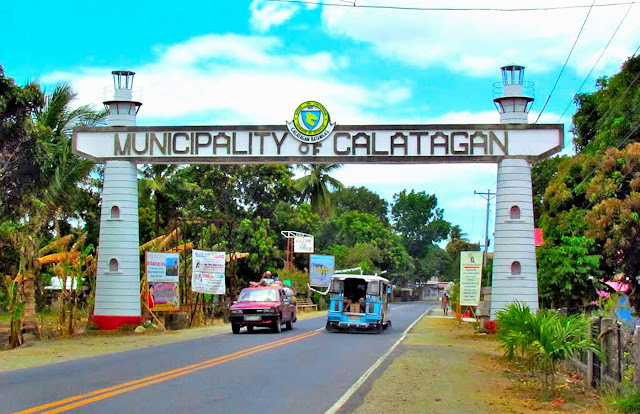 Not all barrios of Calatagan – ditto with the other towns of Batangas – are included in the series of articles. Some documents might have been eroded by time and could not be digitized. It is also possible that for certain barrios, no documents were even researched and written at all. Other barrios might – in 1953 – still have been part of bigger barrios at the time and whose histories and folklore were the same as these barrios. Barrio Baha was near the sea and surrounded by mountains. 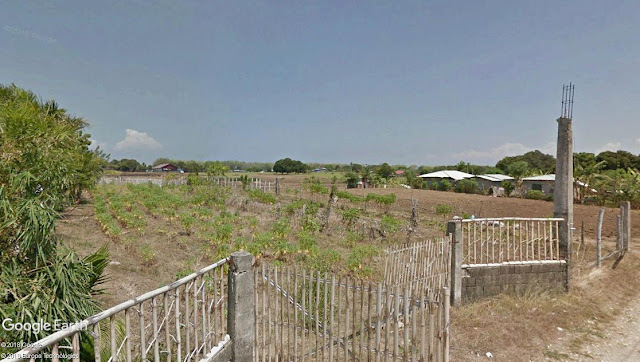 It was so named because “whenever the rains fell heavily, the water from the mountains flooded the lowlands before flowing out to sea.” Very few families lived in this barrio in the old days because the land was mostly owned by wealthy families of Balayan. Later it was part of the land that was turned over to the Zobels. The barrio’s earliest “tenientes del barrio” were Agustin Hernandez, Pablo Rodriguez and Benito Zara. Baha was one of the barrios destroyed by a fierce typhoon in 1926, which also caused storm surges. In World War II, people of the barrio starved because of the shortage of food. This was because the Japanese frequently raided the barrio for food. Animals owned and left behind by those who evacuated to avoid the Japanese eventually died. According to the source document, this barrio was named after a tree named “balibaguhin,” which presumably grew in abundance in the area. I am unable to find any references to such a tree over the Internet. However, a flowering tree called the sea rosemallow of the hibiscus (gumamela) family is called “malabago” or “balibago” in Tagalog2. This barrio was said to have been initially settled in 1897 by farmers and fishermen. During the Japanese occupation, many families died of starvation because of the chronic food shortage. Animals were taken away by the Japanese. Balibago was supposed to have been named after the malabago plant, also called balibago in Tagalog. Image source: Philippine Medicinal Plants. According to folklore, this barrio was named after a bandit named Bali, who presumably lived there and terrified neighbouring barrios as well. The barrio’s earliest “tenientes del barrio” were Cipriano Omayao, Gavino Pedroza, Eleno Martinez and Placido Pedroza. This place was badly affected by a strong typhoon in 1926 which also caused destructive storm surges. In World War II, along with other barrios in the province, the people of Balitoc suffered from food shortages. It was only after the war that people could eat better food. In all, 18 inhabitants of the barrio were killed by the Japanese. This barrio was supposed to have been named after the “bancal” (Tagalog spelling “bangkal”) tree, called Leichardt tree3 in English, which likely grew in abundance in the area. There is no present-day barrio of this name so it is likely that this barrio is among the barangays of the present-day poblacion. During the Japanese occupation, many inhabitants of the barrio died trying to “protect the lives and properties of citizens.” Food such as vegetables and fruits were regularly confiscated by the Japanese. 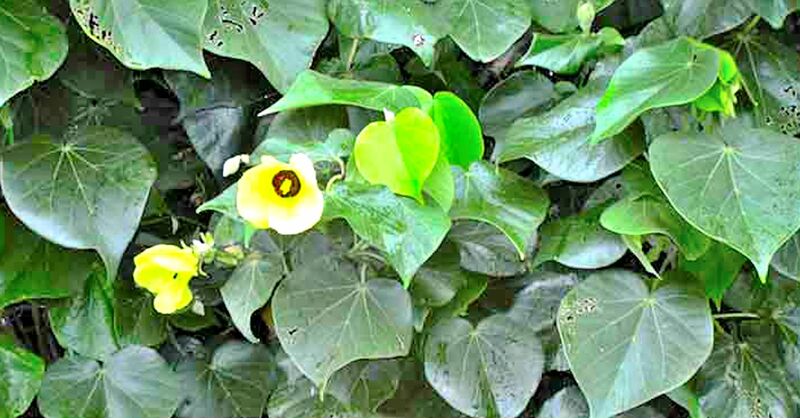 Bancal was supposed to have been named after the nauclea orientalis, known as bangkal in Tagalog. Image source: Tony Rodd from Sydney, Australia - Nauclea orientalis 031211-3212, CC BY-SA 2.0, https://commons.wikimedia.org/w/index.php?curid=15108103. The name of this barrio was said to have been taken from the “biga4” plant, known as the elephant ear in English, which probably grew in abundance in the area. In World War II, the inhabitants of Biga suffered from a shortage of food and clothing. They had no permanent homes, presumably because they had to periodically evacuate due to the presence of Japanese soldiers. This barrio was said to have been named after a natural spring somewhere in its territory. It was said to have been initially settled circa 1820 by people who were “having difficulty gathering seafood and cultivating the soil.” The barrio’s earliest “tenientes del barrio” were Jose Sarmiento, Gavino Lachica and Elino Macalindong. Bucal was among the barrios destroyed by a violent typhoon in 1926. During the Japanese occupation, the people of Bucal had to hike long distances just to buy food and clothing, which were priced prohibitively. Carlosa was a mountainous area with big trees, and the name, although not explained by the source document, was supposed to have been given circa 1903 by people living in neighbouring barrios. Then, the barrio was still uninhabited. Settlers only started arriving in 1903 after the land was sold to people, and most of these were from Lemery and Taal. This barrio was said to have been established in the year 1900. It was so named because it functioned as something of a shortcut for carts (“kareton” in Tagalog) travelling to Talibayog5. People started settling the barrio circa 1902. Because this barrio was flatland surrounded by mountains and hills, its inhabitants thought that it looked like it was in a pit or “hukay” in Tagalog. It was initially settled by families from poblacion Calatagan, and the first of these were the Aytonas. This barrio’s first “tenientes del barrio” were Sergio Tolentino and Silvino Gomez. The inhabitants of Hukay being primarily fishermen, in World War II, to avoid the brutality of the Japanese, many of the barrio’s inhabitants evacuated to the mountains and survived by planting crops. Barrio Hukay looked like it was in a pit, hence the name. Image source: Google Earth Street View. According to folklore, barrio folks needed to hop over a small stream to get from one side of the barrio to the other, hence the name “Lucsuhin” (Tagalog spelling “Luksuhin”) meaning something to hop or jump over in English. A bridge was said to have eventually been constructed over this stream. The barrio’s first “tenientes del barrio” were Juan Bautista, Vicente Seralvo, Apolonio Pedroza and Andres Caguimbal. In World War II, the inhabitants of Lucsuhin survived by bartering goods in exchange, presumably, for food. Some inhabitants of the barrio were taken away by Japanese soldiers and killed, presumably on suspicion of being guerrillas. Luya was a newly-established barrio of Calatagan when the source document was written, so its foundation was likely just after the Second World War. Presumably, it was so named because of ginger plantations in the area. Its earliest “tenientes del barrio” were Severino Alcedo and Lorenzo Valencia. Folklore had it that this barrio’s name was taken from a tree called “quilitin.” I am, however, unable to find any references over the Internet about this tree. The barrio’s first “tenientes del barrio” were Leoncio Diño, Isaac Diño and Narciso Gonzales. In 1926, Quilitisan badly felt the brunt of a powerful typhoon that slammed Luzon. In World War II, aside from having little food to eat, the people of Quilitisan could not afford to buy new clothes because the Japanese occupation robbed them of their livelihood. Filipino guerrillas, mostly from Nasugbu under the command of a Commander Casilao, were killed during an encounter with Japanese soldiers in Quilitisan. 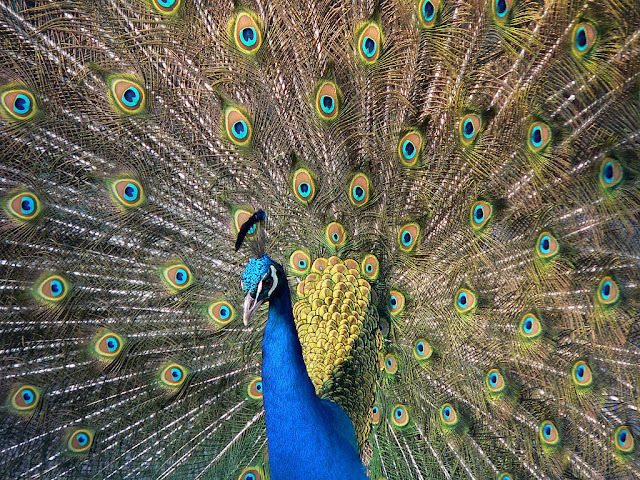 This barrio’s name was supposed to have been taken from the “pavo real,” said to be “beautiful birds similar to turkeys” and flew in flocks. This etymology is possible albeit improbable. While there is, indeed, a “pavo real,” this is the Indian peafowl which is endemic to the Indian subcontinent. Real’s earliest “tenientes del barrio” were Macario Apolonia, Juan Bautista, Julio Bautista and Antonio Ramirez. Barrio Real was badly destroyed during a fierce typhoon in 1926. During the Japanese occupation, many inhabitants of the barrio died because of starvation. This was because the Japanese frequently raided the barrio for food crops and livestock. 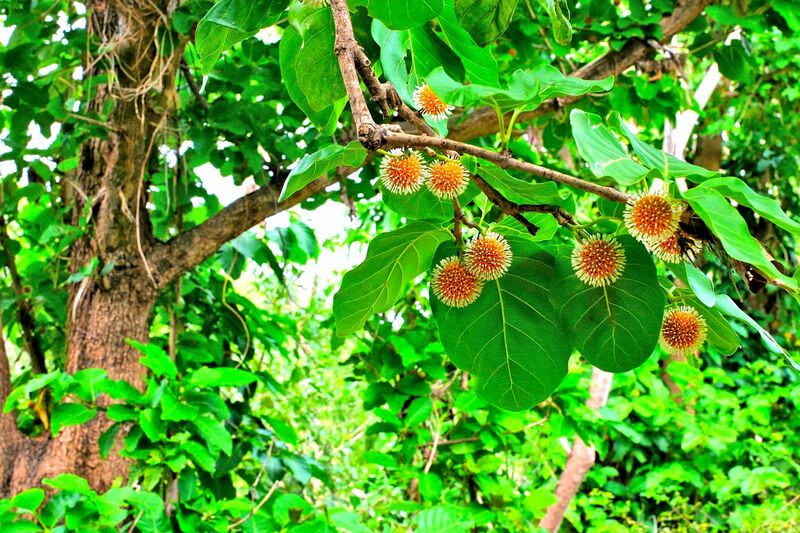 According to folklore, this barrio was supposed to have been named after the medicinal “sambong” plant, known in English as the blumea camphor6. During the Japanese occupation, food crops were regularly confiscated by Japanese soldiers, who also took away farm animals. They also destroyed houses in the barrio. This barrio was located at a cape or promontory that jutted out into the sea and was thus thought similar to Fort Santiago in Manila; and hence, its name. It was said to have been established around the year 1900, and the first families who lived in the barrio were said to be caretakers of a sugar warehouse. During the Japanese occupation, the people of Santiago, whose primary occupation was fishing, “were forced to leave their industry to protect their lives.” This led to poverty and, consequently, starvation. 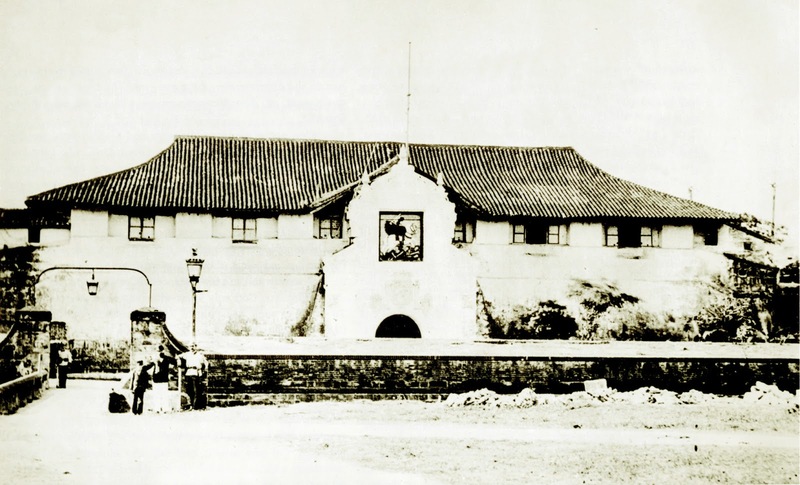 Santiago was supposed to have been named because of its location, which was similar to that of Fort Santiago in Manila. Image source: Public Domain, https://commons.wikimedia.org/w/index.php?curid=17993673. During the Philippine Revolution, it was said that Filipino insurgents had a camp at the top of the mountain in the barrio. To be forewarned if Spanish troops from Balayan were coming after them, they planted a sentinel, called “taliba” in Tagalog, at the summit of the mountain. Talibayog was initially settled by the Tolentino family, said to have been from Balayan. Beginning in 1827, settlers from neighbouring barrios started arriving. In World War II, many people in Talibayog died because of hunger. People could not work in the fields to plant their crops “because they were afraid of the Japs.” Men were also being hunted by the Japanese, presumably on suspicion of being guerrillas. According to folklore, the name of this barrio was taken from the talisay tree, known in English as the tropical almond7, which presumably grew in abundance in the area. It was said that barrio Talisay had been settled even before the arrival of the Spaniards. This barrio’s first “tenientes del barrio” were Julian Custodio, Buenaventura Cudiamat and Eleno Custodio. A violent typhoon in 1926 badly destroyed Talisay. During the Japanese occupation, the people of the barrio became so poor some could not even afford to buy rice. 1 “History and Cultural Data of Calatagan,” online at the National Library of the Philippines Digital Collections. 2 “Malabago,” online at Philippine Medicinal Plants. 3 “Bangkal,” online at Philippine Medicinal Plants. 4 “Biga,” online at Philippine Medicinal Plants. 5 The source document’s explanation about how Carretonan got its name was actually ambiguous. 6 “Sambong,” online at Philippine Medicinal Plants. 7 “Talisay,” online at Philippine Medicinal Plants.